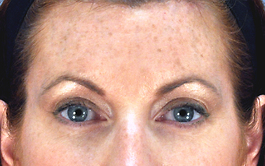 A brow lift in Virginia Beach from Dr. Thomas Hubbard includes a variety of rejuvenating effects for the upper face. Using a combination of specially-designed techniques specifically tailored to the individual's needs, Dr. Hubbard is able to reduce signs of aging in their upper face using one or several forehead procedures. Sagging brows, frown lines, and transverse forehead creases and sometimes crow's feet can all be greatly improved, depending on the type of brow lift performed. 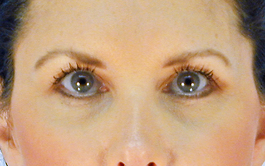 Dr. Hubbard believes that a proper Virginia Beach brow lift should look natural and enhance your existing beauty. With his attention to detail and artistic skill, he is committed to achieving a pleasing yet subtle result for his patients. Is a Brow Lift for Me? 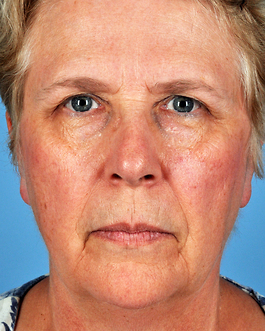 Men and women who would like to reposition a low or sagging brow could benefit from a brow lift. 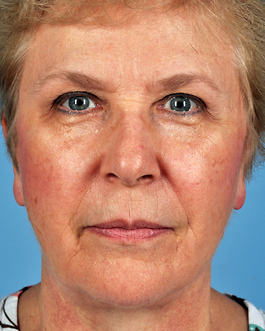 A brow lift can also help transverse forehead creases or frown lines. A variation of the procedure can also shorten a tall forehead by bringing the hairline down. There are options for shorter incisions with striking rejuvenation potential using special endoscopic instruments. A brow lift is done on an outpatient basis under IV sedation or general anesthesia. Incisions are behind the hairline or following the hairline in some cases, with many variations depending on the individual. 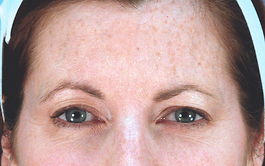 Skin is repositioned and overactive muscles can be weakened to reduce "dynamic wrinkling." The head is wrapped for only the first day. Initial discomfort is easily controlled with oral medication and sutures are typically removed in a week. Most bruising and swelling around the eyes is resolved in 1 to 2 weeks. Once the sutures are removed, we encourage our patients to visit our Skin Enhancement Center for a complimentary makeup session designed to camouflage any remaining discoloration. 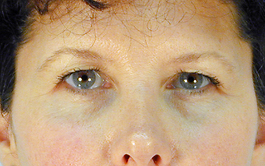 Many people who are considering a brow lift are also interested in eyelid surgery (blepharoplasty). Often, these procedures are performed together for more significant improvements. Other procedures that can further enhance the results are a facelift, laser resurfacing, or fat injections. 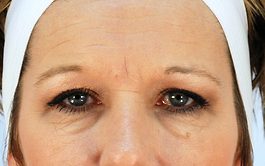 Modern brow lift techniques have continued to advance and the results are much better today with the evolution of refined techniques and a greater number of procedure choices. An attractive brow especially in the female has the outside or lateral brow higher than the inside or medial brow. The latest techniques keep the inside area of the brow in the most aesthetic position. 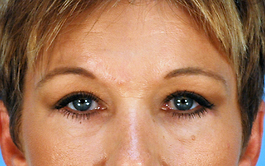 Please visit our photo gallery page to see examples of brow lift surgery.